You may remember a finding in the iOS 4.3 SDK that pointed to Apple’s work on a new iOS-device based social network called “Find my Friends.” Many have speculated that this means Apple is working on a location-based social network – similar to Google Latitude or Loopt – that would essentially put all your friends on a map. At that time, a source told us that Apple has been working on the Find my Friends project for some time – but also said that company has shelved the project a few times prior this SDK finding. Now, we have discovered several references to this Find my Friends service inside of HTML code from the MobileMe/iCloud website. Because these findings reference aspects of MobileMe, we have to urge that this social network from Apple may have been eternally shelved. On the other hand, Photo Stream, when we first revealed it, referenced MobileMe. Now we know that it is actually an iOS 5 iCloud feature. From what we can glean from this HTML code, Apple’s Find my Friends service was definitely in development, and it takes some terminology cues from Twitter, which happens to also be fully integrated into the upcoming iOS 5 release. The service may even be similar to a recent patent filing by Apple that is shown above. According to the code, users will be able to select other users to “follow.” Once a user “follows” another user, they will gain access to information about the user besides their location. Apple would presumably create profiles – maybe similar to Game Center – based on Apple IDs. Because the terminology is so similar to Twitter’s, perhaps Apple’s Find my Friends integrates with a Twitter login. Users, just like in the patent drawings above, will have a user interface that displays a list of everyone they are following and another list that shows everyone who is following them. For a location based service, it is critical for Apple to show the list of followers. To maintain user privacy, all follower requests will be placed into a “pending” process and each need to be individually approved. In addition, Apple is working on putting a clear “blocking” system into place. Users could block individual users of the Find my Friends service or even block follow requests altogether. Besides having your friends or family member on a map for interaction, perhaps the most interesting part about Apple’s once planned – or upcoming – Find my Friends social network is that it ties right into Apple’s new iCloud and iOS 5 Photo Stream service; like we told you months ago. In iOS 5, a user can take a picture with their iPhone and it will automatically upload to the cloud then download from the cloud onto the user’s other devices: iPhoto on the Mac and Photos on the iPad and iPod touch, for example. 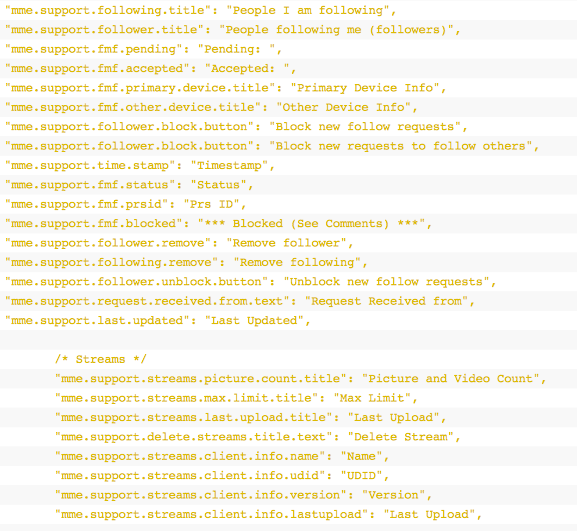 According to the HTML code, it appears that a user’s Photo Streams may show up on their profiles on the Find my Friends map. 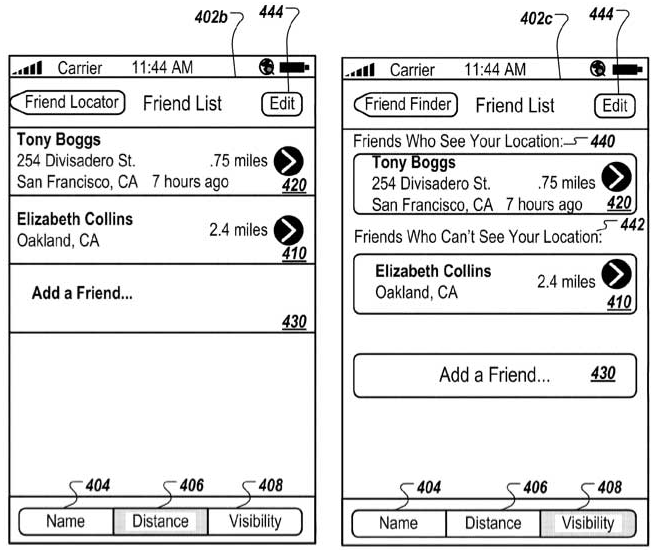 It also looks like Apple is going to go one step further with Find my Friends: Video Streams. Photo Stream is obviously currently limited to photo streaming in iOS 5, but it looks like Apple is thinking about or planning a new Video Stream service. This would likely be identical to Photo Stream but would be videos instead of photos. Again, all this HTML code certainly points to Apple once planning a Find my Friends social network. We have no idea if Apple will or will not launch it, and Apple has stopped and re-started work on the project many times, but will think the launch is possible. In any case, Apple’s continued work in the social network realm is interesting. Thanks, Twe112!